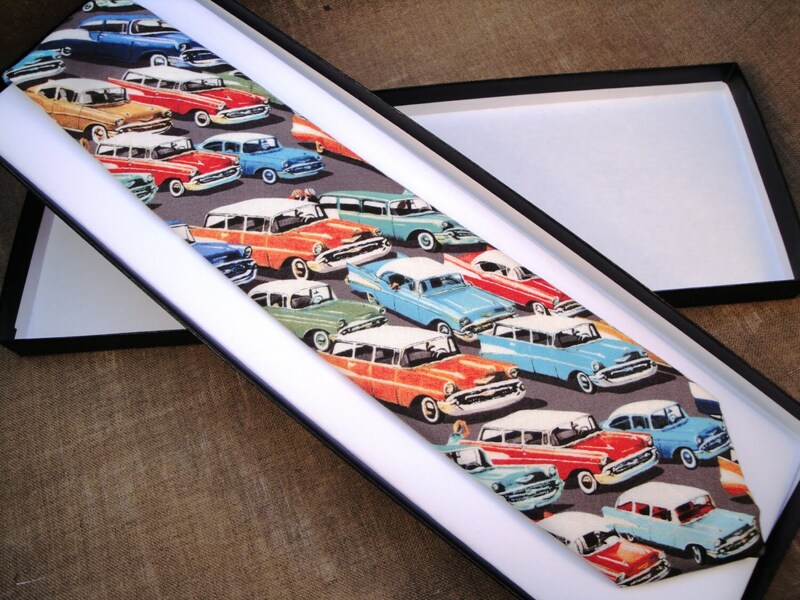 Beautifully made novelty print tie, American cars on a grey background. Made from 100% cotton. Delivered to you in a gift box. Ideal gift. All the ties are made in the traditional manor, they are cut on the bias and interlined with either man made or wool blend interlining which is also cut on the bias. The tips are lined in a coordinating plain or print cotton fabric. 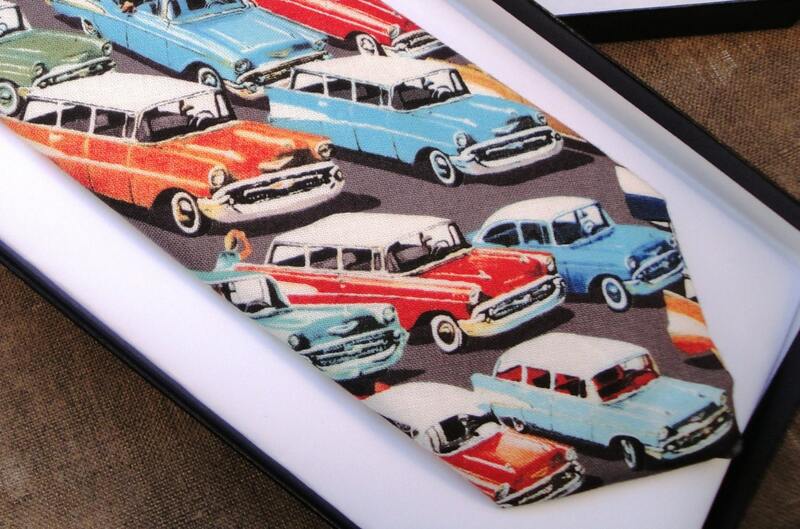 The ties are made in limited numbers, usually between 1-4, so there is very little chance of bumping into someone wearing the same tie.